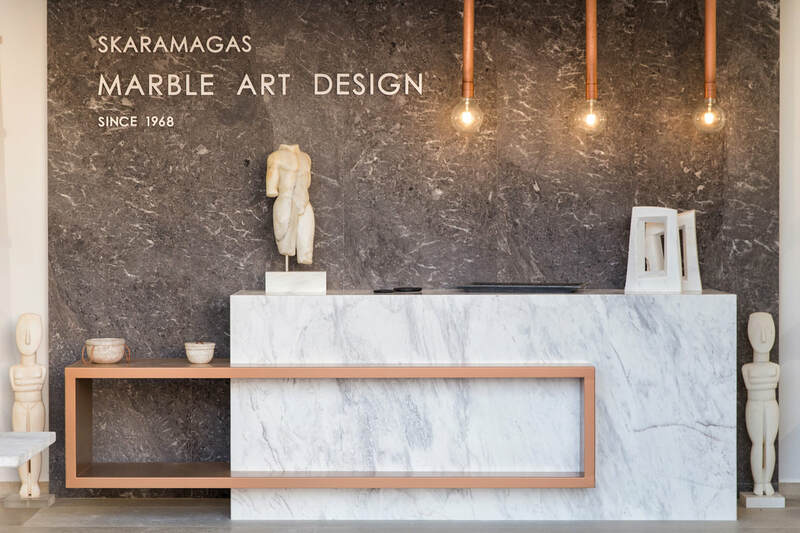 The family business of Marble Cutting, Processing and Trading was launched by Vassilios Skaramangas in Paros, 1968. 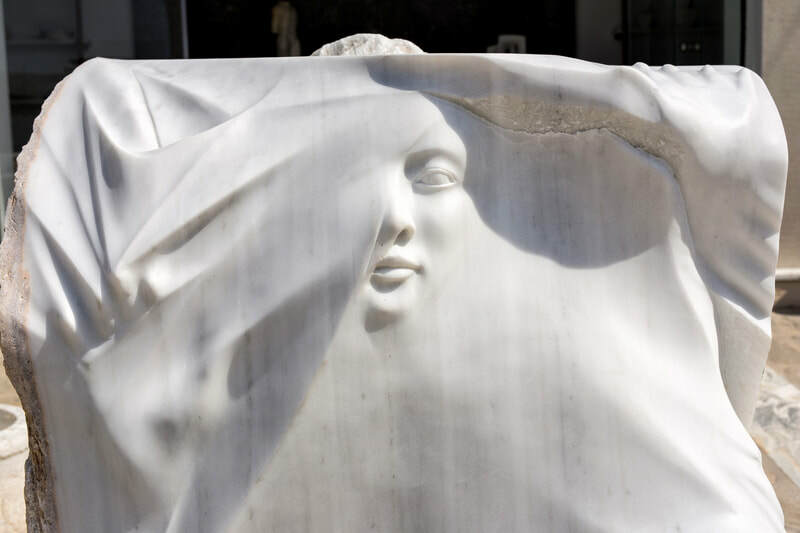 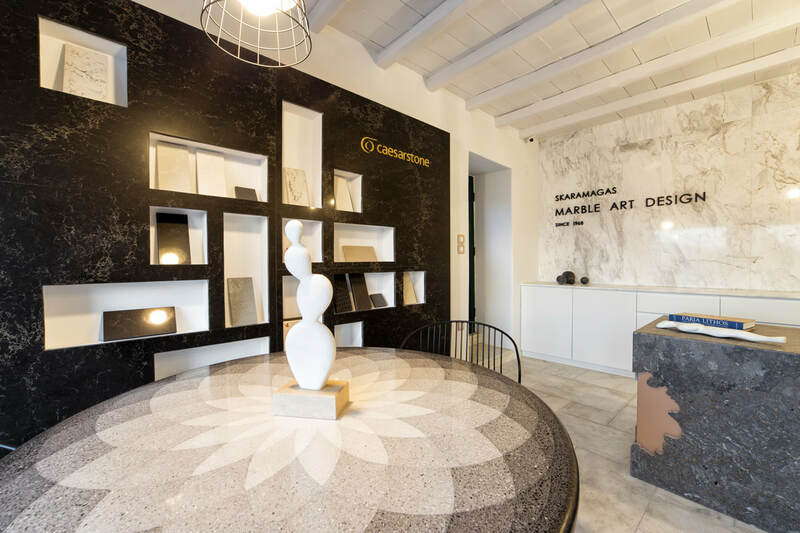 His love and passion for marble, combined with his artistic nature, transformed the business rapidly into the artistic place of the island. 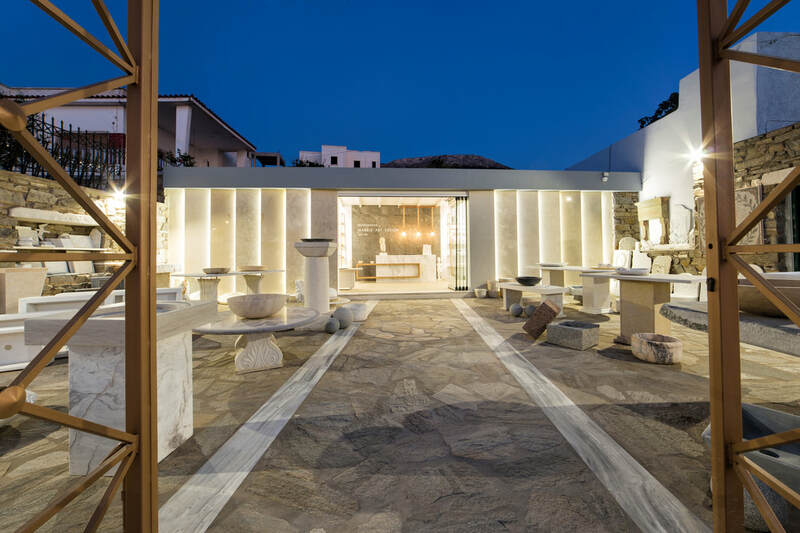 In 1985, the business was undertaken by his son, Dimitris, who expanded it significantly and, in the meantime, an exhibition called “Marmaropoieion” was created in the same private area. 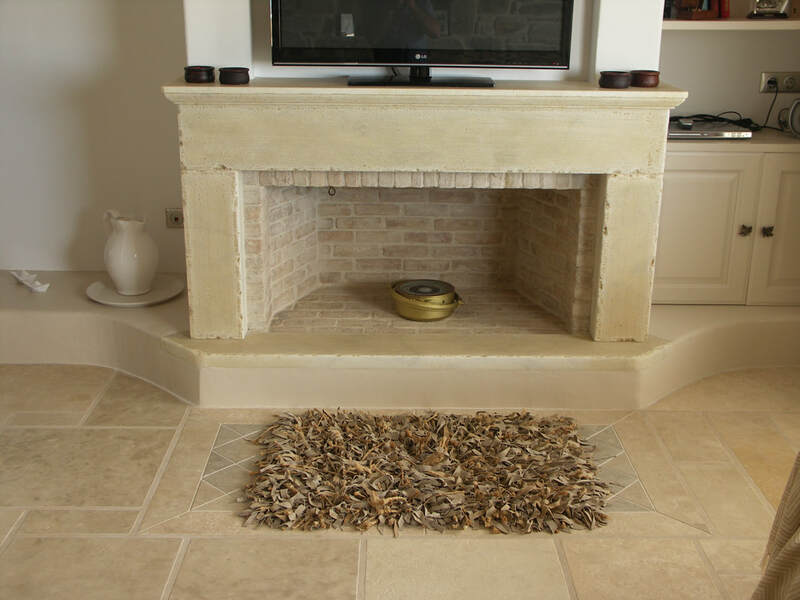 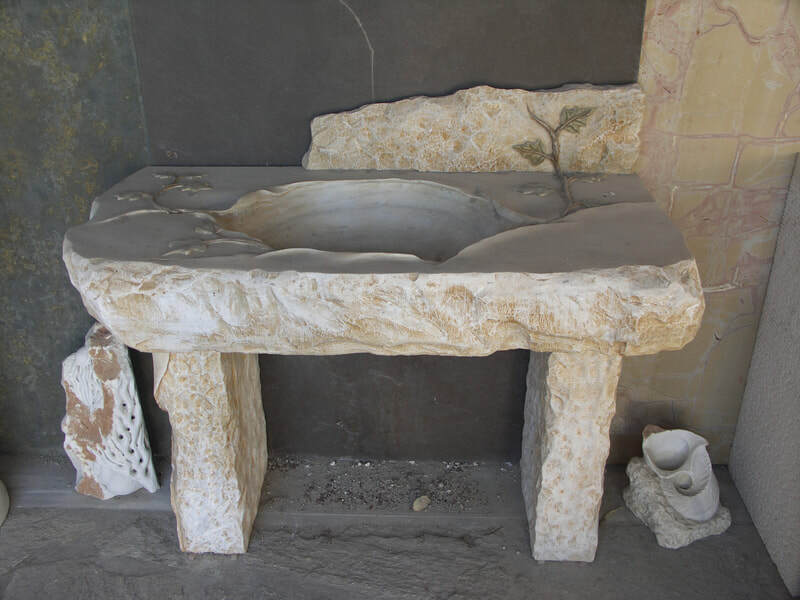 There you will find everything related to marble, such as fireplaces, columns, balls, carvings, basins, sinks, stairs and floors from all over the world. 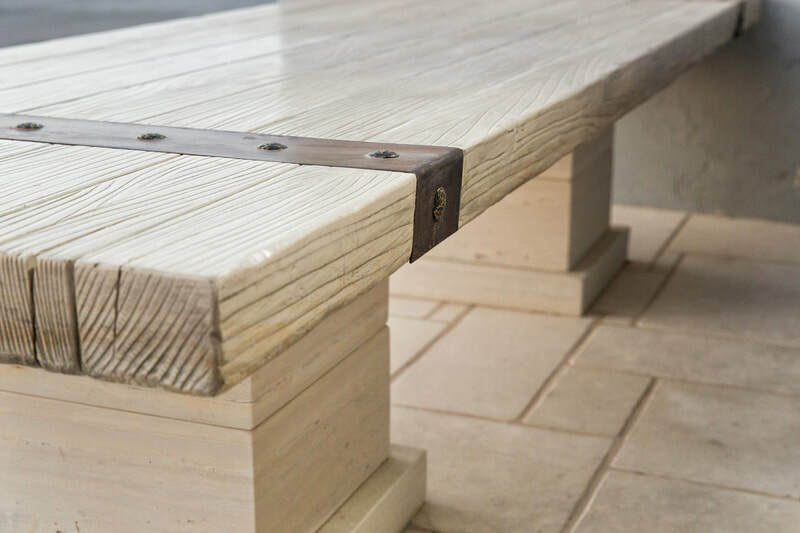 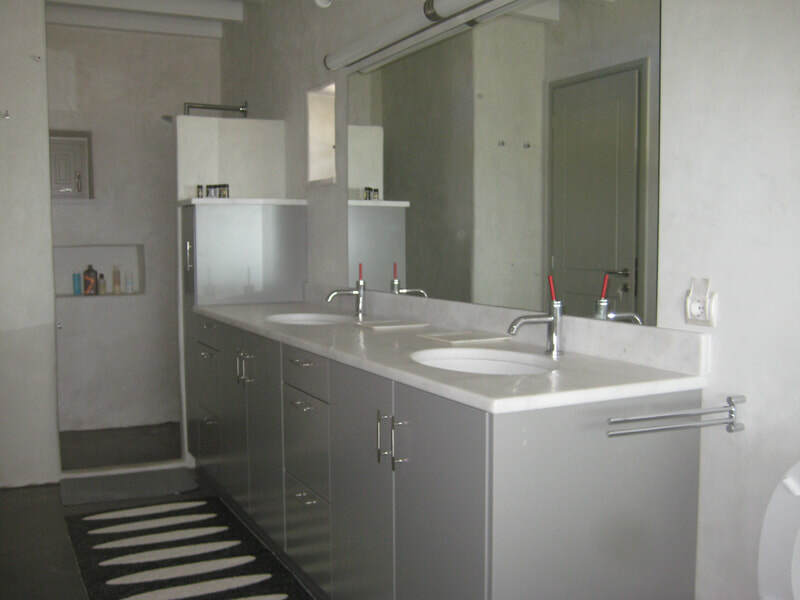 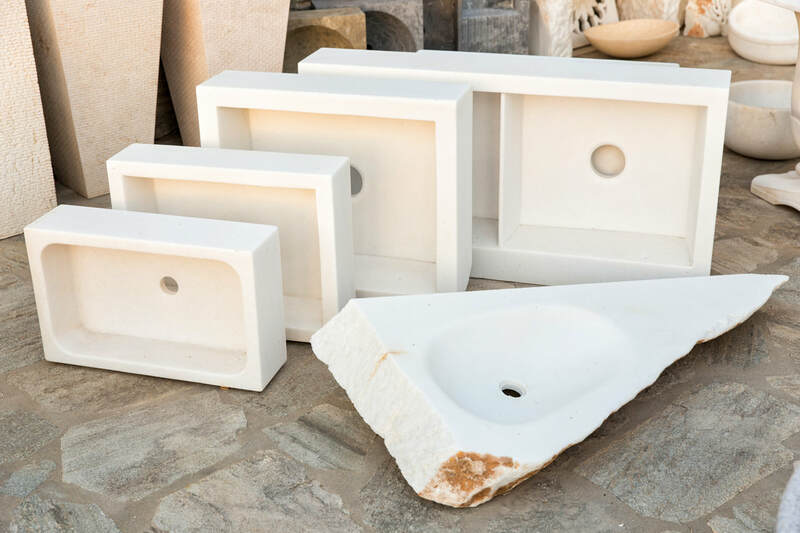 In the recent years, along with his son, Vassilios, they have been established in the field of kitchen, making sinks and stalls of various kinds of marbles. 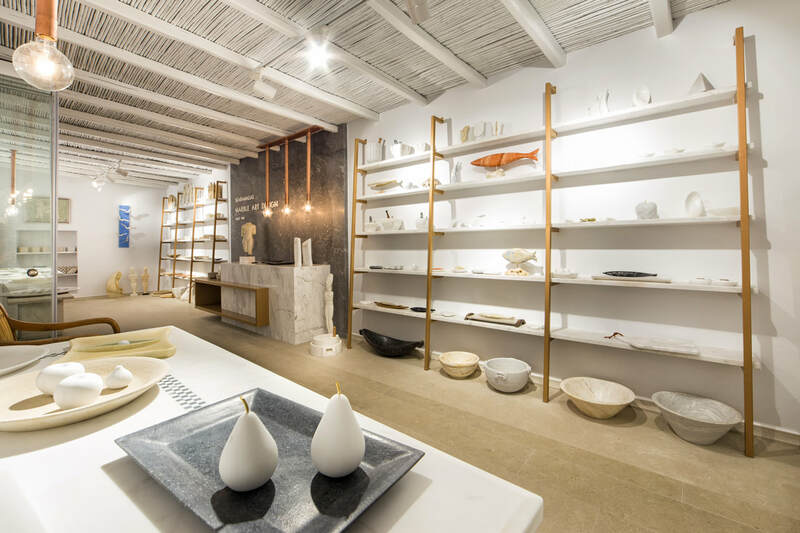 At the same time, a wide variety of kitchen and home gadgets, such as mortars, platters, plates, candlesticks, small gifts, etc, has been created. 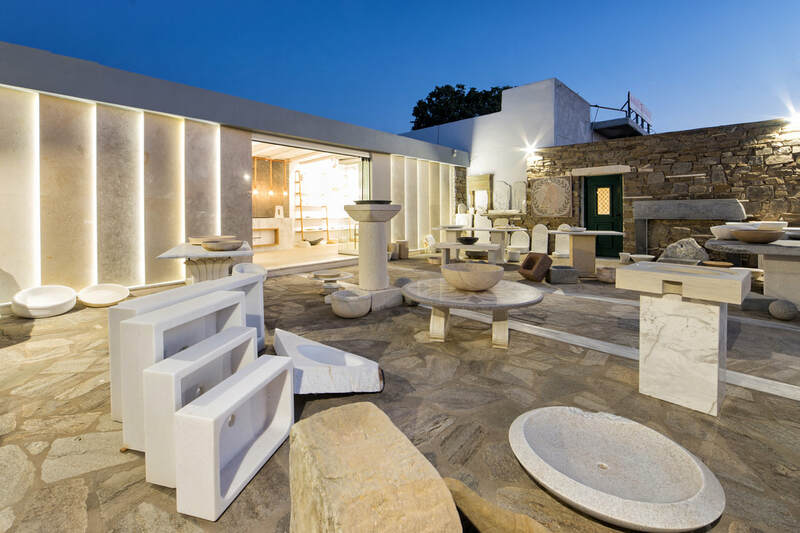 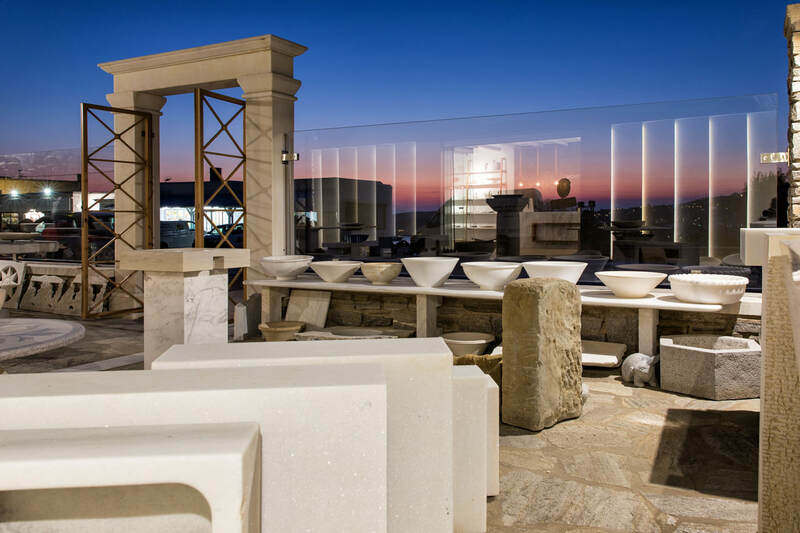 Apart from these, the business collaborates exlusively with the Italian granite company ‘OKITE’, trades Greek and imported marbles and rocks, as well as Cretan stone in all of its forms. 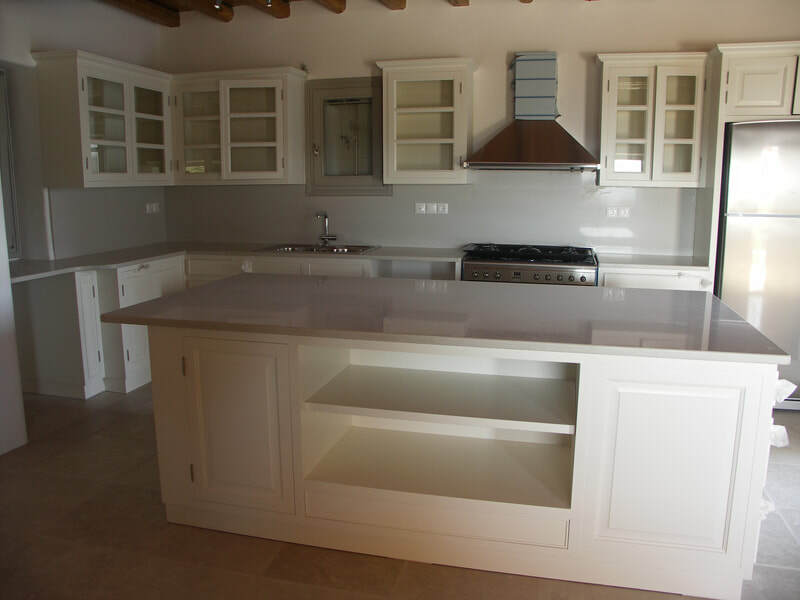 The enterprise additionally undertakes the decoration and construction of floors, stairs, monuments, carvings, mosaics and cooperates with reputable artists, architects and designers. 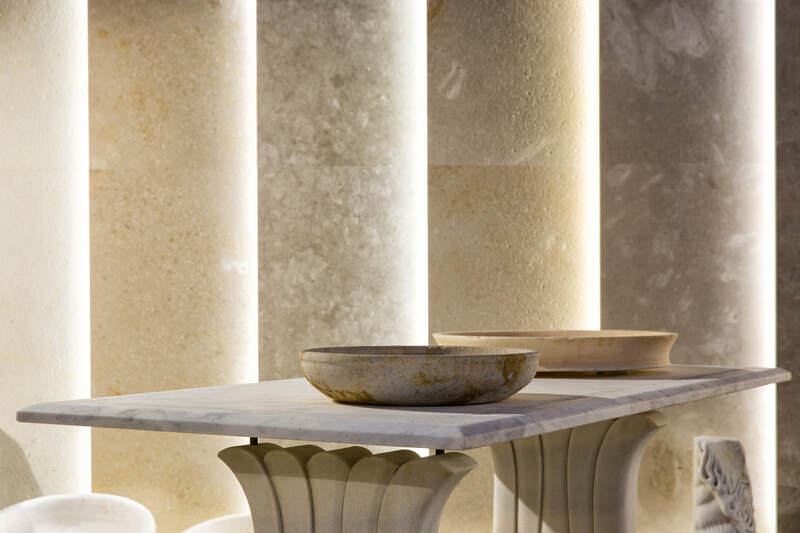 Finally, all of our marble constructions can be submitted both in Greece and abroad.